Internationally acclaimed flutist and winner of numerous competitions, Mary Kay Robinson has risen to national prominence as a versatile musician, balancing roles as soloist, orchestral and chamber musician, teacher, coach, and consultant. She has been a featured soloist at Severance Hall with the Cleveland Pops Orchestra, the Southern Tier Symphony (NY), the Akron Symphony and the New Hampshire Music Festival Orchestra. She is a frequent guest artist with the orchestras of Chicago, Cleveland, St. Louis, Pittsburgh, Detroit, Buffalo, Toledo, and Kansas City. As a visionary and entrepreneur, Ms. Robinson founded the Greater Cleveland Flute Society and the prize-winning mixed chamber ensemble Panorámicos, whose three CDs have garnered great critical acclaim. 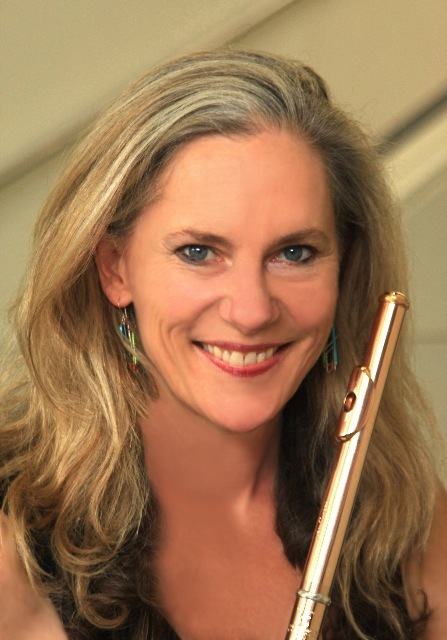 Ms. Robinson has commissioned, premiered, and recorded many new works featuring the Flute, Piccolo and Alto Flute in solo and chamber capacities, as well as mixed instrumentation chamber music with voice. With 25 years of experience in the Classical Music sector, she has built an extensive professional network, facilitating her work as a consultant for Foundations, Individual Artists, Performing Arts and Philanthropic Organizations. Certified in Executive Leadership through the Case Western Reserve University Weatherhead School of Management, Ms. Robinson’s Executive Coaching practice focuses on leadership, holistic performance and career coaching with professionals and college students, utilizing the best research in performance and sports psychology, building towards excellence and success through health and wellness.